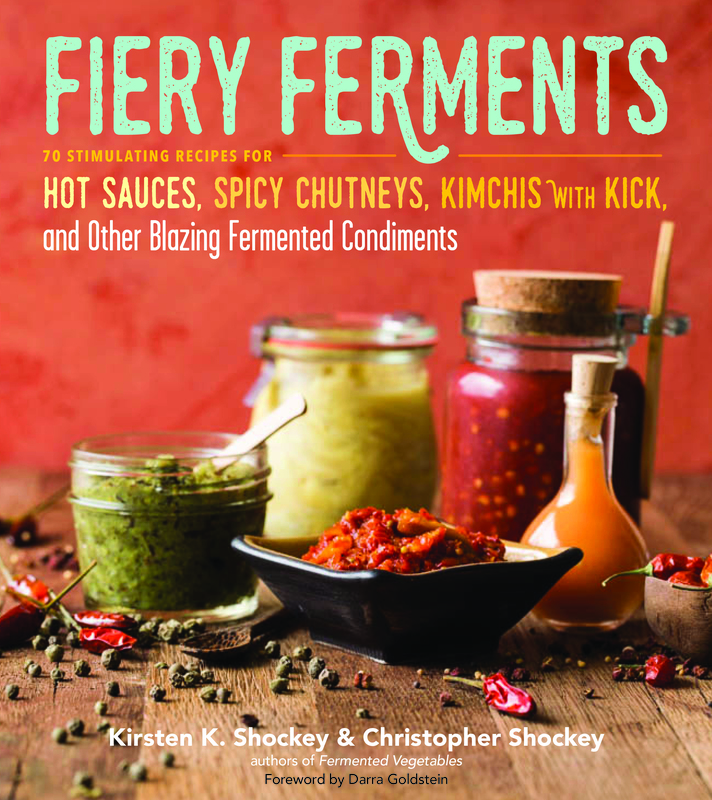 Fiery Ferments is not just another hot sauce book, we are inviting folks to ferment their condiments. While are plenty of delicious fermented hot sauce recipes in this book that is not all. We wanted to explore what it means to push the essence of pungency. As we researched and experimented, we discovered that there are many ways to wake up the tongue in that eye-popping, wow-what-did-I-just-taste moment. That said, because there are a lot of people who love stimulating flavorful food but prefer not to singe their mouths we have included plenty of recipes that are low on heat and high on flavor. And, on top of that, we explain how to make any recipe to suit your own heat index. Why spicy ferments? Humans seem to have always craved some spice in their lives and in their meals. In fact, historians found our very first spice was mustard, turns our humans figured chewing mustard seed with meat made it taste better. Until very recently (if you consider the time frame of all of human history), our favorite spicy foods and condiments were likely preserved through lacto-fermentation, with all the flavor, nutrients, enzymes, vitality, and other elements of goodness that accrue from working with probiotic bacteria. Then methods of quick acidification with vinegar and pasteurization came along, and our traditional spicy foods lost their probiotic love. Yes, modern hot sauces can stand on grocery-store shelves waiting for you to buy them for a very long time and will remain safe and flavorful, but they are no longer alive. our own lives with fermented condiments. In this book we teach you every thing you need to know to ferment safely and comfortably with step-by-step photos. We teach you the ins and outs of the chile pepper and other tantalizing flavor makers. To give you a peak at the spicy condiments we are sharing a mild green peppercorn mustard and a fiery habanero sauce. Enjoy. Check out these two recipes featured in the book! This mustard has a wonderful kick; it is spicy, but in a very different way from the heat of chile or the sinus-invigorating horseradish. The ground green peppercorns give it a fun, flecked appearance. 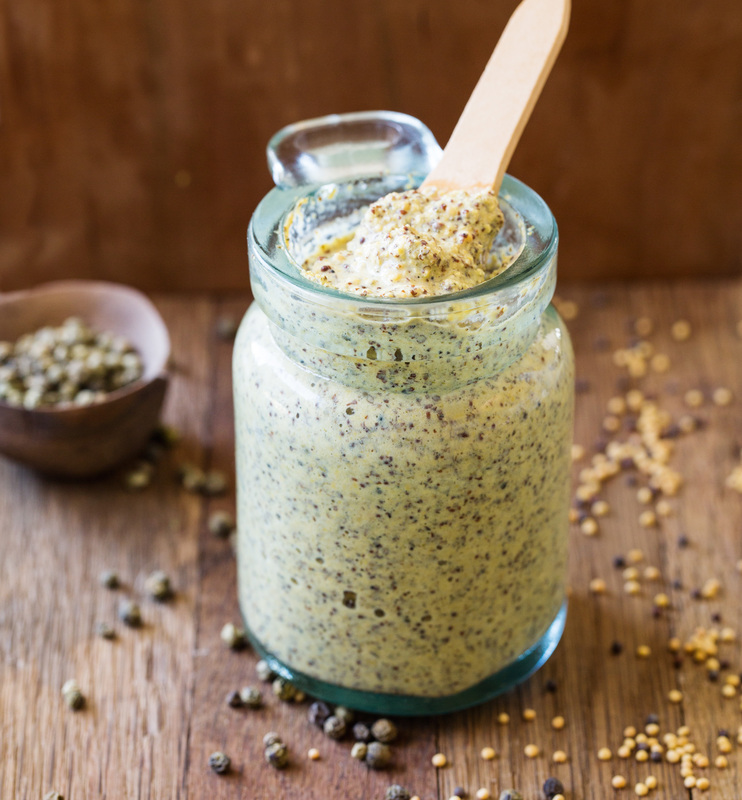 Combine the peppercorns, mustard seeds, turmeric, salt, and water in a blender. Blend until smooth. As the mustard seeds break down, they act as a thickening agent, and the mixture will become creamy. Keep blending until it reaches a paste consistency. Spoon your mustard into a pint jar, pressing out any air pockets as you go. When it is all in the jar, you may need to use a butter knife to work out any remaining pockets. Then screw the lid down tightly. Set the jar in a corner of the kitchen to ferment. Watch for air pockets forming in the mustard. If you see any, open the lid and press the mustard back down. If the lid starts to bulge, simply open it for a moment to burp the ferment. Allow to ferment for about 7 days. Mustards are ready to eat immediately, but the fermentation time gives them a nice, smooth acidity and brings them to a lower pH, which improves preservation. Following fermentation, open the lid (it may pop slightly as CO2 is released) and stir in the vinegar and the sugar, if using. If you’re using sugar, it will take a little while for the sugar crystals to melt into the mustard. Let sit for about 10 minutes, stir again, and your mustard is ready to serve. Store the mustard in the refrigerator, where it will keep for up to 12 months. 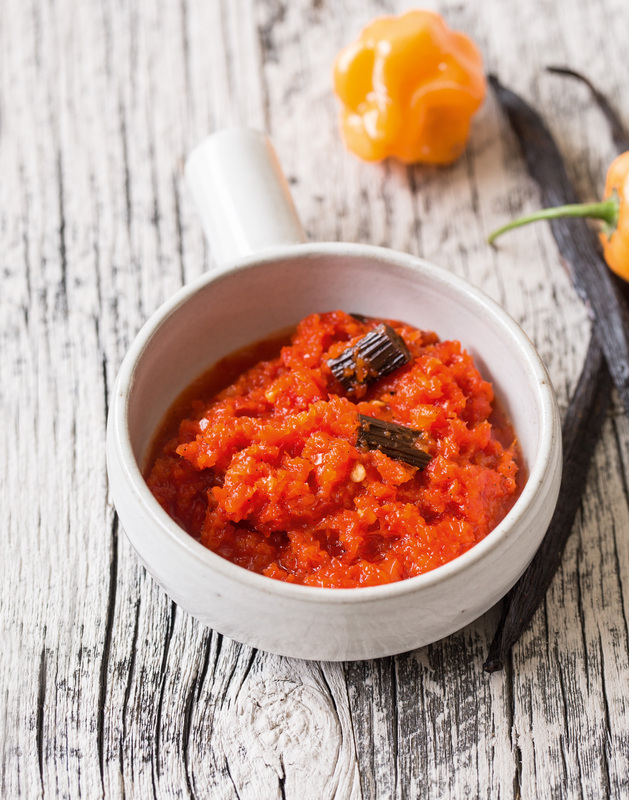 Combine the chiles and salt in a food processor and process into a mash. Mix in the vanilla bean pieces and pack the mash into a pint jar, pressing out any air pockets as you go. Leave about 1 inch of headspace. Screw the lid down tightly. Set the jar aside to ferment, out of direct sunlight, for 14 to 21 days. For the first week or two, check daily to make sure that the mash is submerged in the brine (see Curing Notes, page 32). Start tasting the ferment on day 14. It’s ready when the flavor is lightly acidic and the vanilla notes provide sweetness. Continue to ferment as needed. Use as is, or blend to break down the vanilla beans (the mash will look flecked). Store the mash in the refrigerator, where it will keep for 12 months or more. For Vanilla-Pear Habanero Hot Sauce, blend ½ cup Vanilla Habanero Mash, ¼ cup white wine vinegar, and ¹/3 cup pear syrup (page 109) until smooth. Bottle and store in the fridge, where the hot sauce will keep for 2 to 3 months. For Vanilla-Pear Habanero Dessert Sauce, which is amazing on churros, ice cream, or “edgy” pancakes, blend ½ cup mash, ¼ cup white wine vinegar, and 1½ cups pear syrup. Store in the fridge and use within a week or two. For more recipes, head here to pre-order the book!